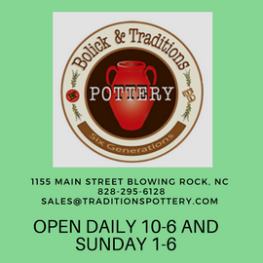 Bolick & Traditions Pottery, Handmade pottery in Blowing Rock NC.Bolick Pottery, and Original Owens Pottery of Seagrove. NC. 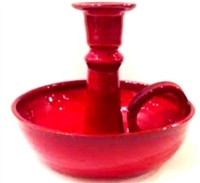 A full line of dinnerware including mugs, bowls pitchers, and serving pieces. Face jugs, and ugly jugs, Earthenware that is oven, dishwasher, and microwave safe. A large selection of Natural Life brand , Life happy, P Graham Dunn wall art, and Savannah Bee and FarmHouse Fresh body products. Towels, and tee shirts, Dresses, and Tunics, Lazy Susans and gifts by Demdaco, and Purses by Chala, and Mona-B. Local and handmade jewelry by Anju, The Artist Jay and the Vintage Locket. 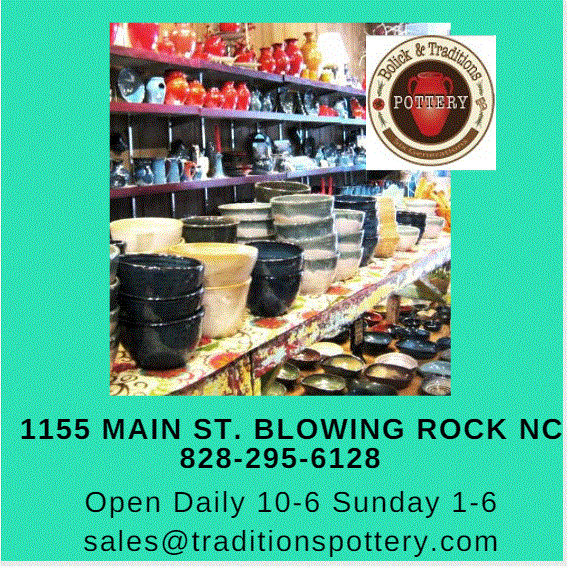 Visit us in beautiful Blowing Rock, NC.